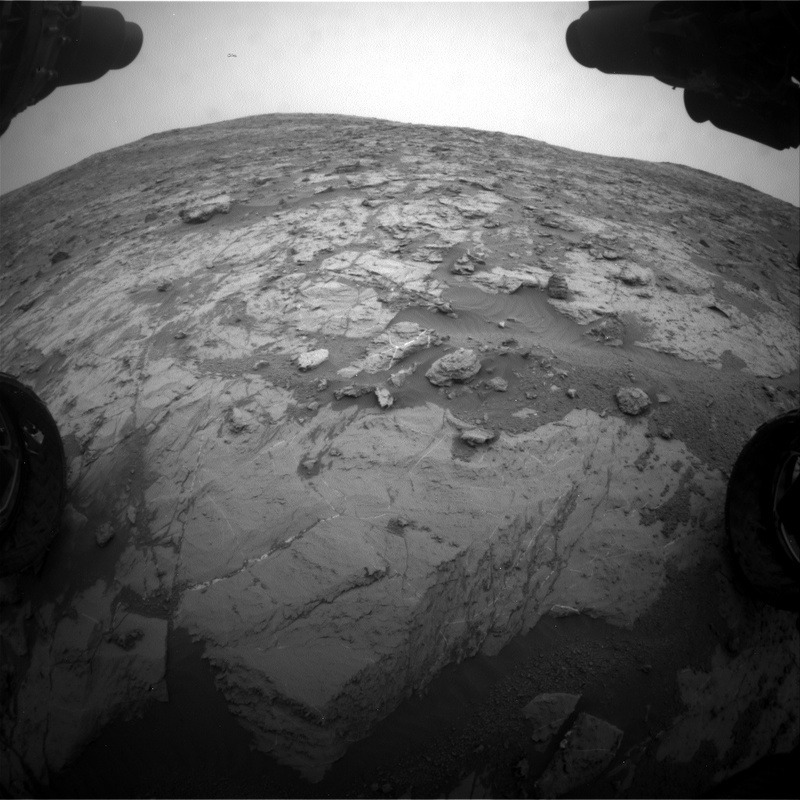 Curiosity stopped its drive a bit earlier than anticipated. It so happens that the autonomous software onboard Curiosity designed to keep it driving safely kicked in and ended the drive short of the planned distance. When things like this happen, it's a bit of a setback to science, but keeping the rover safe is priority number one. Not only did the drive stop short, but Curiosity actually ended up in a location where there wasn't a good surface model, triggering the Slip Risk Assessment Process (SRAP) to fail. A failed SRAP means that Curiosity cannot safely carryout any arm-based activities, so the science team resorted to remote sensing activities using the cameras and ChemCam to continue to assess the Vera Rubin Ridge. In this three sol plan, Curiosity will first carry out a host of remote sensing activities including 5 ChemCam activities, Mastcam documentation images of the ChemCam locations and a small Mastcam mosaic of a layered rock outcrop on the horizon. On the second sol, the rover will make good progress driving along the previously planned path using only the existing terrain surface model that is available. The usual suite of post-drive imaging to help decide science targets in the next plan will also be acquired. Importantly, as the dust storm on Mars continues to affect Curiosity, activities designed to monitor the amount of dust in the atmosphere will remain a priority and be made as frequently as possible.